Improved access to Bangor High Street for blue badge holders | News by Wales Express News, People Before Profit! New arrangements to strengthen the pedestrianised zone on Bangor High Street are working well, with restrictions meaning that vehicles are not able to enter between 10am and 4.30pm. 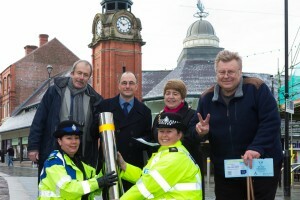 Gwyn Hughes, clerk of Bangor City Council; PCSO Dominique Roberts from North Wales Police; Councillor Dafydd Meurig, Gwynedd Council Cabinet Member; PC Lisa Thomas from North Wales Police; Councillor Jean Forsyth, Mayor of Bangor and blue badge holder, Roger Kelly. This follows concerns raised by the High Street stake-holder steering group regarding the number of vehicles driving along the pedestrianised zone in the city centre. Joint working between Gwynedd Council and North Wales Police have meant that vehicles are no longer allowed to enter the High Street between 10am and 4:30pm as part of the restrictions, with the exception of Blue Badge holders who are permitted to remain on the High Street until midday. Councillor Dafydd Meurig, Gwynedd Council Cabinet Member who leads on Transport matters said: “I am pleased that these common sense arrangements are now in place. Our aim in introducing the pedestrianized zone has been to encourage more residents to enjoy the vibrant and attractive space in the heart of Bangor city centre. “The new arrangements mean that pedestrians can walk freely along Bangor’s main shopping destination, and in turn deliver a welcome boost for the Bangor High Street. 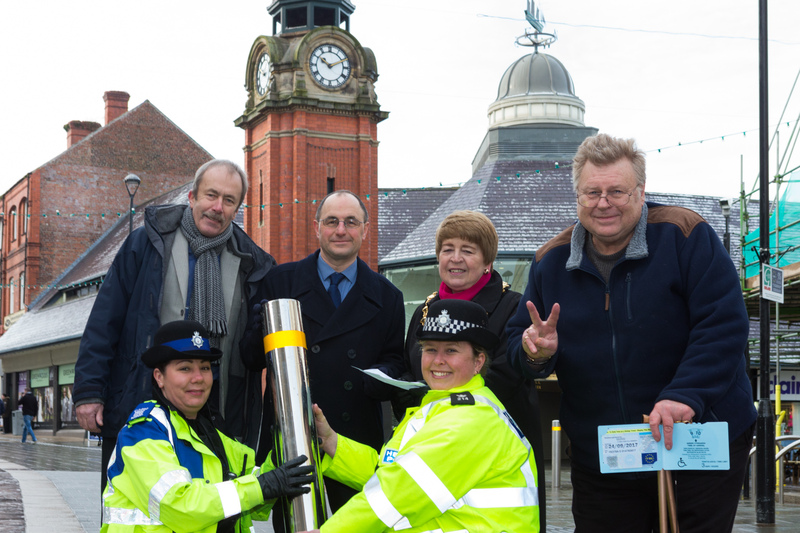 Bollards have been installed on the Bangor High Street to ensure that vehicles respect the pedestrianised zone between 10am and 4.30pm. Young swimmers are making a splash!